We talked to the man that helps it all happen for our 100th episode. Daddy Kev is a staple of the Los Angeles music scene. Bringing shine and helping artists in LA for over 2 decades. 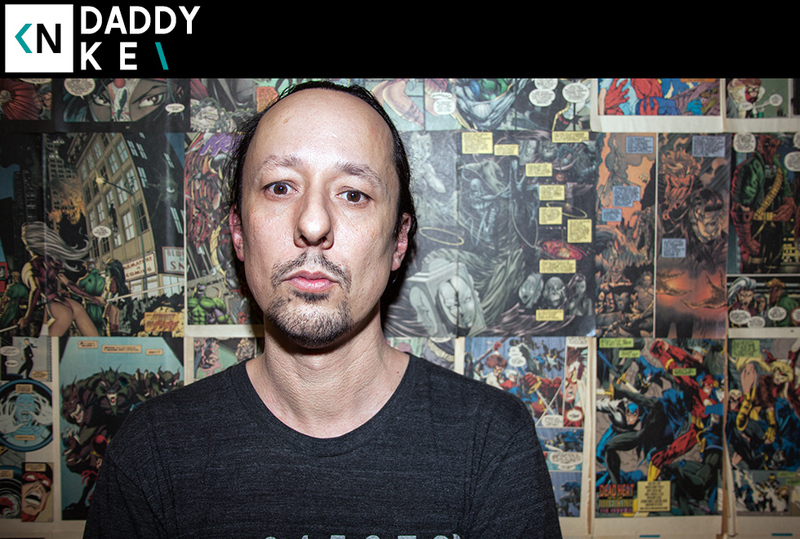 He’s been hugely influential in pushing the boundaries of electronic music as the proprietor of Low End Theory. He’s also released 100s of records into the universe as the proprietor of Alpha Pup Records. Furthermore Kev’s mixed and mastered records you’ve surely heard as the owner of Cosmic Zoo studio. Not only has he provided us a platform, but he’s provided a working space for some of your favorite musicians. Kev’s passion for music and deft business maneuvers have inspired countless people. Listen in as we talk about balancing so many tasks, self-motivation, and how to reboot after a failed venture. SUPPORT THE PODCAST ON PATREON!!! Yo Lee, is the patreon a contribution going forward or retroactive? I’m down for $3 an episode but not if it starts with a $300 down payment, ya dig? it’s just for going forward. we’re not gonna post all the old ones for pay haha.